We all know that it’s important to stay visible whenever we go cycling or mountain biking. This includes wearing bright colored clothing, especially if we are going to cycle on the road. This helps warn drivers, pedestrians and other cyclists that we’re around, so they could avoid us. However, it can get pretty boring to wear the same neon-colored cycling jerseys all the time. So here’s our take on some of the most striking jerseys for men that you could wear! This Star Trek Command Cycling Jersey is one way to catch attention on the road. If you’re a fan of the franchise, why not get a jersey for yourself? You can even wear it out to the movies! This jersey comes in a striking yellow color, but you can also select green, black or light gray. Personally I find the yellow color nicest, but what really stands out is the design of a mountain biker in full gear, riding down the trail. Many people love a cool beer in the warm summer weather. This jersey with a slogan “This guy needs a beer” is a great way to get the message across! The Weimostar Jersey has the US flag beautifully incorporated into the design. It will showcase your patriotism while you’re riding on the trails! This design of “Abstract Cubes” is one sure way to stand out. I like how the lines and colors are blurred, making it one big art masterpiece. 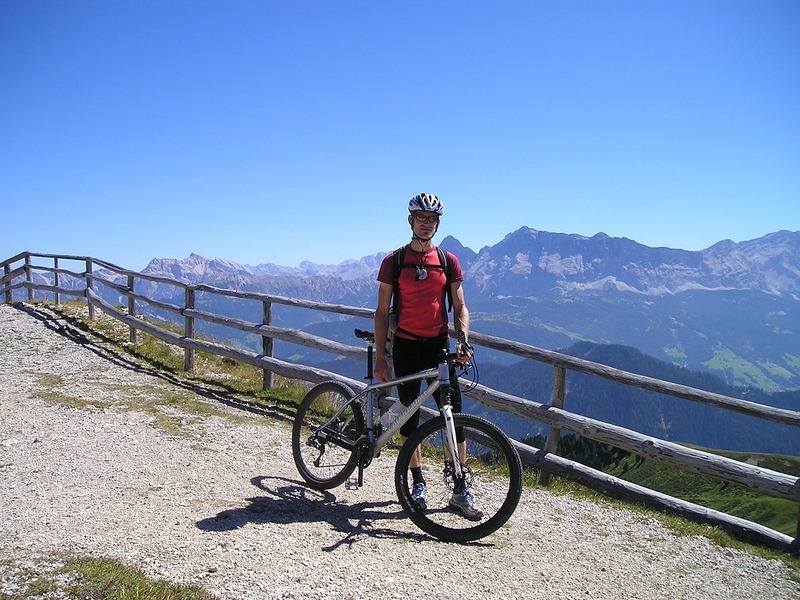 This is a reminder of what you do for a hobby – biking uphill and challenging the limits! As you can tell by now, buying a cycling jersey does not have to be a boring activity. Try some of these interesting designs, and you’ll be getting lots of attention the next time you hit the mountain biking trails!